Charles H. Chapin (1830-1889) was an American artist best known today for dramatic landscape paintings. During the Civil War, he was an artist for Harper’s Weekly. 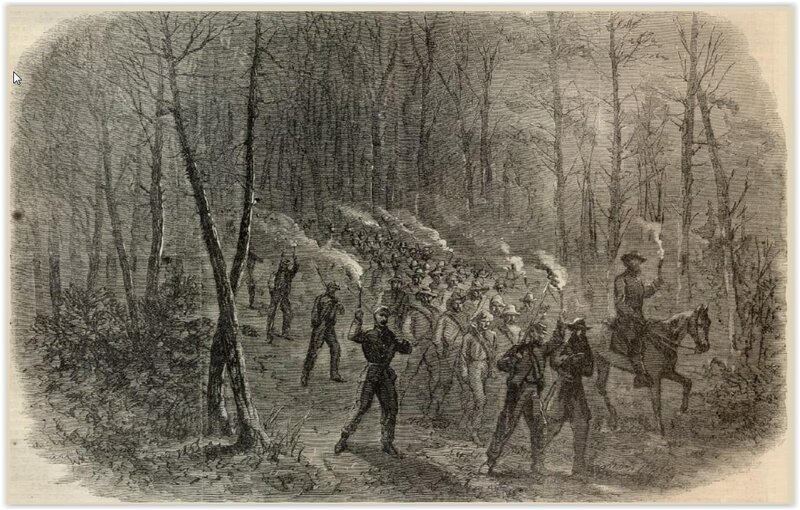 Grant's Campaign- ARRIVAL OF RECRUITS DURING THE FIGHT AT PEEBLES'S FARM, September 24, 1864. Harper's Weekly, October 22, 1864. Grant's Campaign- COLONEL WELCH LEAPING INTO THE REBEL WORKS, September 23, 1864. Harper's Weekly, October 22, 1864. 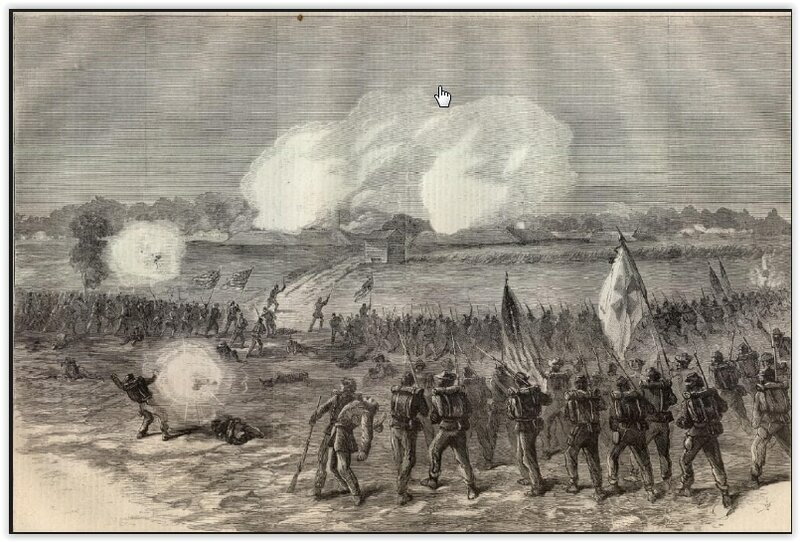 Grant's Campaign- CHARGE OF THE FIFTH CORPS ON THE REBEL REDOUBT AT PEEBLES'S FARM, September 24, 1864. Harper's Weekly, October 22, 1864. Sketch by Charles H. Chapin, woodcut published in Harper's Weekly, November 5, 1864. Ruin of the Pegram House. Sketch by Charles H. Chapin, woodcut published in Harper's Weekly, November 12, 1864. The caption above makes clear the drawing was done October 17, 1864. Note the chimneys of the Confederate leadworks in the distance on the left. There was a perfect eruption,from City Point, of the militaire and the bourgeoisie in carriages & on horseback. Grant, Gens. Meigs, Barnard, Eaton, Dr.Barnes, Surgeon Gen'l. Also Stanton, Fessenden, Sam Hooper! (of all men in the world), Sim Draper & old Barney....We toted the crowd out as far as Fort Wadsworth and showed the glories thereof, in which they did not seem much interested (p. 281). Theodore Lyman, Meade's Army: the Private Notebooks of Lt. Col. Theodore Lyman, edited by David Lowe, Kent State University Press, 2007. 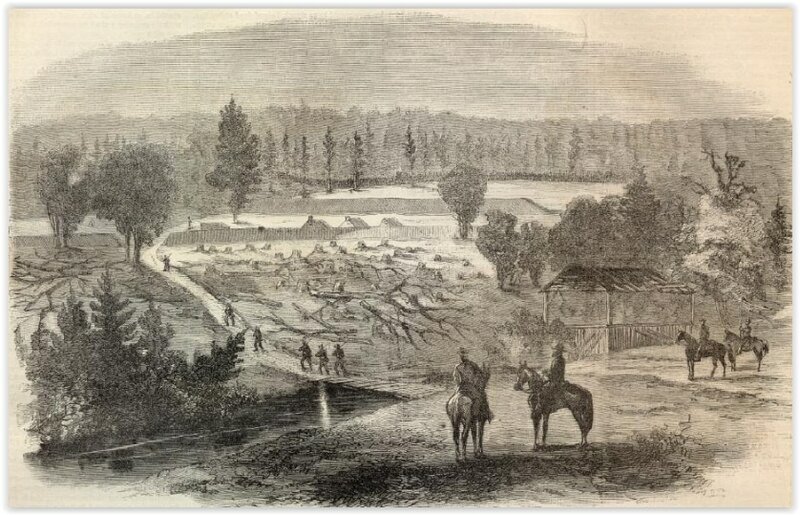 ARMSTRONG'S MILLS AND REBEL WORKS ON HATCHER'S RUN, CAPTURED BY THE SECOND CORPS, OCTOBER 27, 1864. Harper's Weekly, November 19, 1864. GENERAL CRAWFORD CONDUCTING REBEL PRISONERS TO HIS REAR, OCTOBER 27, 1864. Harper's Weekly, November 19, 1864.